If you are looking for that perfect bottle of Champagne to celebrate the very special of occaions then you have found it here. 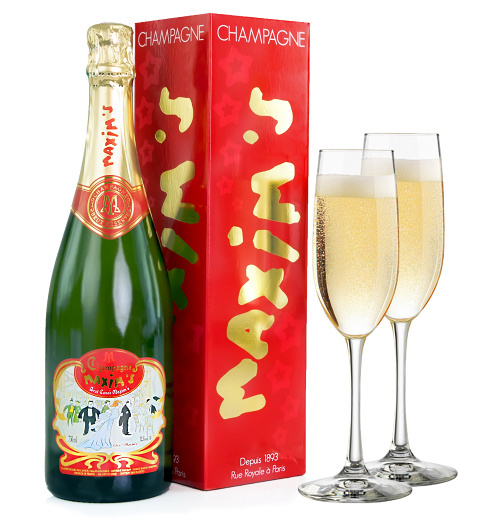 New this year to our luxury collection of World renowned Champagnes is Maxim&apos;s Depuis 1893 Champagne. This is an extraordinary award winning Champagne designed to be remembered. From the Capital of love its self, this Parisian marvel is sure to leave a lasting impression and certainly impress your lucky recipient with your exceptional taste in Champagne choices.